Are you getting results with Weight Watchers Freestyle? At the beginning of every year, people decide to join Weight Watchers (now WW) to finally drop the weight. Here it is, February, and I am wondering if members are finding that it is working for them. Last year, when I posted Not Losing Weight on WW Freestyle members shared stories of success and failure as it pertains to losing pounds. But, you might define your results differently. For example, have you stopped eating fast food for lunch? or can you finally touch your toes? WW has been trying to get members to look at success from many different angles (other than weight loss). Why? I think it is because the scientific community hasn’t come to an agreement about the best way to lose weight (and keep it off). It is very difficult and expensive to run long term weight loss studies. 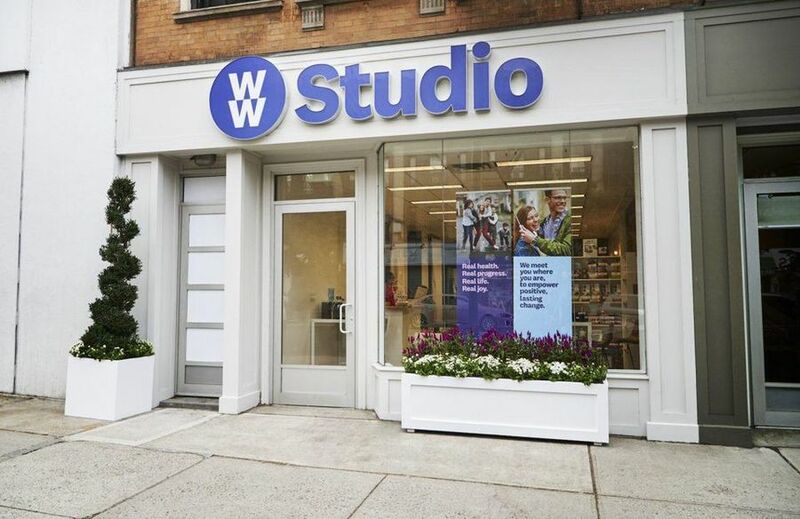 WW has shown that over 2 years people can lose between 5-10% of their weight and keep it off with one independent study - but the results of the people in the study ranged quite a bit. 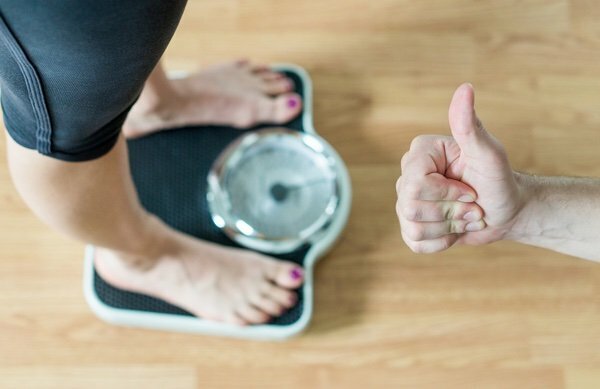 One thing that we do know is that people vary a lot in how they respond to dieting see What We know about Diet and Weight Loss. I love the WW FS program but you do have to follow the program. I have lost 13 pounds since the middle of December and have 6 more to go to get back to my goal weight. Like any other weight loss program, you have to work at it. I gave Freestyle the college try - I've been doing it for about 6 months. I lost on the first week, then gained 5 pounds the next two weeks. I haven't lost a pound since. I tried mixing things up. The person who can’t lose is frustrated (of course) and feels like the plan isn’t for her. It makes sense to me that WW is not “one size fits all”. WW is a great starting point for many who have never tried to change their diet (or evaluated it) as a way to lose weight. It is a healthy approach as it emphasizes fruits and vegetables but that doesn’t mean it is going to work for YOU. Obviously, you have to pay attention and learn what works for you from any plan. The plan that works for me is cutting out added sugar. I wrote about it here: No Sugar Challenge. Every single time I start paying attention and stick to foods without added sugar - my waist shrinks. Do I keep it off? I would say that when my jeans get tighter, I go back to no added sugar. It is a dance. What are your results on Weight Watchers (WW) Freestyle? Is it working for you? You just said it yourself without realizing it. You did a no sugar challenge - when you don't stick to it, the weight comes back. Sugar is addictive. It effects the brain, something which WW does NOT acknowledge. There is added sugar in everything. Most people's taste buds have been changed/altered from birth. Ever try baby food? Its bland, has no taste. Plain and simple - sugar makes everything taste better. I saw it for years with other WW plans - people would save their points for packaged goods, snacks and the like. pounds to get back to my goal weight! My wife joined WW in August. In an effort to support her, I followed her lead and I lost over 50 pounds by following the WW FS program. All one needs is a little self control and patience. WW is best weight loss program ever. I'm looking forward to reading the comments here. I believe sugar is the undoing of us all, and may be every bit as addictive as drugs, alcohol or nicotine. I agree with Barb. WW does most definitely deal with sugar. Anything that has much sugar has high points and I steer clear of it. WW has worked for me but I need to track and follow the program. I lost over 100 lbs. and have kept most of it off for over 5 years. I did gain some back but that had more to do with thyroid problems than with poor eating. In fact, my endocrinologist commented that he felt I would have gained a lot more had I not been on program. The meetings are especially helpful for me also to stay on track. It is only a half hour once a week, not bad at all. Best wishes to all however you choose to keep the weight down. I LOVE Freestyle and it works for me (as long as I follow it). Effective, livable and long lasting. Freedom from obsession! For 30+ years I've been doing the various WW programs. Freestyle is the best program for me, by far. I, too, have a problem with sugar and carbs, once I start eating them I can't stop. Since Freestyle has assigned higher points to those types of foods, I realized that I couldn't keep eating them if I wanted to stay within my points. I basically gave them up, cold turkey. Now I don't crave them and the weight is coming off each week. I've learned portion control and more importantly, I've learned to stop eating when I'm full. I'm 55 yrs old and have lost 25 pounds with 15 to go. I've never felt better and know I can eat this way for life. I have been on 10 months and only lost 13 pounds! Very frustrating fir me because I lost much better on previous WW plans. They don’t want us to focus on the scales but how else do we get to the weight our doctors want if the scales just sits there? How many points are allowed on free. Also do you count points for exercise. I've been with Weight Watchers for 11 years, and at/below goal for 9 years. Every one of the programs has worked EXCEPT Freestyle. I don't eat fish (hate the taste, texture, and memories of being forced to eat it as a kid) and am not crazy about eggs or beans. That left only chicken and turkey as free protein choices. This felt like a diet, which is never sustainable, and I found that I was hungry all the time. 23 points per day was not enough. Went back to the pre-freestyle program and am back on track. I don't mind counting and tracking my points. Have tried many WW programs and the only one that worked was in 2009 when I had the time and space to track what I ate. Recently I’ve been using My Fitness Pal app and just log my food and calories. When I go back to old habits like eating tasty snacks from Trader Joe’s I gain. If I stay away from those and eat mainly healthy fats and protein and watch the carbs I do ok. Lost 18 pounds since July. I’ll take it. Zero point foods. It was so much work and so labor intensive. Freestyle was not something that could become a healthy lifestyle for us. We went back to the plan prior to Freestyle after gaining weight on Freestyle. I am happy to say that while Double You Double You doesn’t work for us, the former Weight Watchers plan does and that is what we are happily living now and we are seeing great success once again! I’ve been through different WW programs. I think they all work but the reason I quit for quite some time was when they added free foods. I could eat a lot of these. They told me I could eat as much as I wanted, then when I gained weight they said well you can’t have 6 bananas. I don’t think it’s free food then. So...fast forward to today. I have to watch what I eat and the free foods, tho not free in calories are the best thing to turn to when you run out of points for the day. Graceread, I hope your leader didn’t say you could have at as much as you wanted of 0-point foods. Those are point free but certainly not calorie free! If you track your 0-point foods as I think everyone should, the serving size is still listed and I try to follow that. For example, raw chicken breast is a 0 point food but the suggested portion size is five ounces, not a pound! I’m sorry you had so much trouble, but I’d suggest starting again and keep serving sizes in mind for free foods. Good luck! I was like Graceread the first go around with Freestyle and ate all the zero point foods I wanted and gained, then I did what Robert said (tracking for portion size) and the second time I lost. However, keeping up with WW latest scientific technology is exhausinting! It all works, but since I’ve been lifetime for years, I always find myself having to start over and learn a new program! Lol. I never tried Freestyle, I've had such success with SP so that's what I stick with. Don't mess with success! I am having trouble with WW Freestyle. Can lose up to 10lbs and then weight loss stalls or I will gain. Ugh! I would appreciate if I can get info about Smart Points again. My leader said "throw out all other info" and like a fool I did and have been sorry ever since!!! I was at goal under Smart Points and am close to gaining it all back on Freestyle. Please, somebody HELP! Thank you all for your opinions. I did not want to join only to fail. I loved the past way of doing WW I always did well. I use the recipes you all send in w/ my daughter-in-law. We share all kinds of opinions & new recipes from WW. We heard the new program would not be good for us. Thank you for sharing. Have a Healthy & safe Day. When Freestyle was first introduced, I thought it sounded mainly like the Simply Filling plan where we eat the "power foods" until satisfied; no tracking required. That plan was very easy to follow, and I still do that with much success. I lost 65 pounds 8 years ago and have maintained it all that time. I’m one of those people that doesn’t feel well on high protein diets. I’m also allergic to eggs and milk (yogurt). FS is not a good option. I liked both PP and SP so I use ProTracker. I refuse to pay WW for weighing in once a week while not following FS. More options to plans would have me going back. It certainly sounded wonderful at first, but it doesn't do the job for me. I have lost 60 pounds on WW. It works. I even have a cheat day once a week. It's all about healthy eating. It boils down to choices you make. I have only done the app and only to calculate points. I haven't done anything else. I am so grateful for WW. I find it terribly hard to lose weight on WW most likely because NOTHING technically is off limits but still needs to be counted. I would appreciate any tips/advice from those who have had some measure of success. I have also been a lifetime WW member... until now. I have tried the Freestyle twice without success. I really like what worked before this program WHEN I was losing 1 lb a week. I wish they gave you the choice of choosing a program that works for you. I came across a Doctor from Canada, Dr. Jason Fung, who specializes in Kidney and Diabetes 2 Patients and has written two books, "The Obesity Code" and "The the Complete Guide to Fasting". I highly suggest listening to him on YouTube. He finds intermittent fasting has the best results for weight loss and that counting calories.... simply doesn't work. It all makes sense and fasting has been around for many years. Been doing intermittent fasting for 1 month now and lose a pound a week. Much happier... much more freeing and so simple to follow. No counting calories or measuring. FREE AT LAST! It's definitely not a one size fits all plan. 8 years ago, my coworker and I joined WW when it was Points and just before it transitioned to Points Plus. We both lost 20lbs each in the first 2 months, she then got pregnant and I lost another 30-40lbs. Just on WW, no exercise...a couple of years later, my coworker left the job and I was able to maintain the weight for several years up until 2 years ago when I was put on an anti anxiety medication that caused me to gain weight, no matter what I ate or if i exercised...it was like 5lbs a month. I was taken off the meds Oct 2017 and have had a very difficult time losing this weight. Fast Forward to the start of 2019...my coworker and I are working together again at another company and have gained some weight back (LOL), we joined Freestyle at the start of the year...she's lost 13lbs (she lost 5lb from a stomach bug a few weeks ago LOL) and I've lost about 7. We are tracking diligently (and probably driving our coworkers bonkers LMAO). We both agree the weight loss is much slower on this version of program. but we're just going to stick to it. The new “WW” program is loaded with marketing BS, in my opinion! First of all, it IS a diet no matter how you slice it. (Look up the def in a dictionary, any dictionary, if you don’t believe me). Someone in marketing has convinced the company to now claim it is not a diet and leaders are now coached to emphasize they don’t want you “to diet.” New changes have villainized healthy fats to the extreme, as others have noted. I’ve done both the new Freestyle “WW” program and the previous Point Plan and, contrary to what their marketing advertises, this Freestyle doesn’t work for me. I need to be aware of and count every single food I eat; every morsel, sip and crunch! But to be fair, I gave the Freestyle method a try after losing 12 lbs secretly using the “old” point system. Guess what? I began gaining back weight. Not because I was cheating! If you have hypothyroidism, a slow (I’d say “efficient”) metabolism as I do requiring thyroid medication the Freestyle method leaves too much room for overeating. I know I am not alone. But to speak up in a meeting about this has led to denial by the leader and a suggestion the person is doing something wrong. And this from an excellent, positive, delightful leader - but she is doing her job, which is to promote the new system which denies calories even exist. So, while I appreciate that WW is helpful in guiding one toward a healthy diet,I am back to calorie counting, which I find SO much easier and less stressful!